Despite the emergence of new communication channels, email remains king. 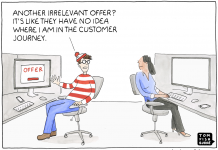 Email still drives the highest ROI out of all B2B marketing strategies. On average, businesses can earn $44 for every dollar spent on email marketing. Although every business is different and it’s always “it depends”, it’s important to know how your email marketing results compare to your competitors and other businesses in your industry. This will help you determine, for instance, what kind of open rates or conversion rates businesses like yours should expect. 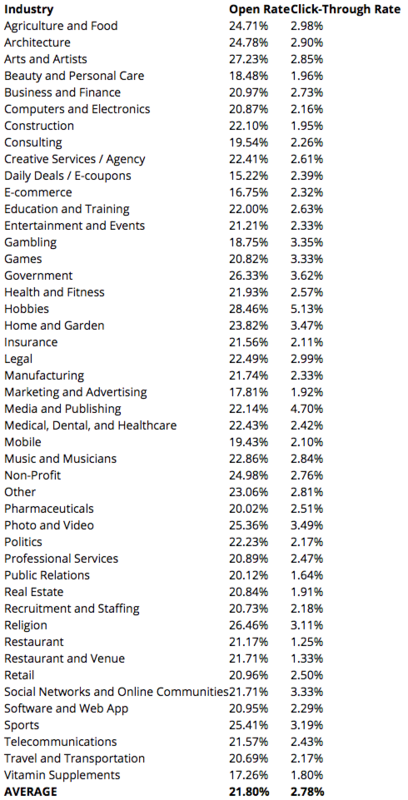 The average open rate across all industries is at 21.80%, and the average click-through rate is 2.78%. However, you need to know the average open and click-through rates for your specific industry instead of basing it on the overall average rates because it varies per industry. Remarkety studied the metrics of email campaigns of a wide range of e-commerce businesses under their platform. More than 55% of emails were opened on a mobile device. On weekends, the rate rises to 60%. Likewise, many people will simply trash an email if the text is in an unreadable font or if they have to zoom in for it to be readable. Marketers report a 760% increase in email revenue from segmented campaigns. 47% of users open an email based on the subject line. If you want to increase your email open rates, optimizing your subject line should be your first course of action. Another effective strategy is to make sure that you’re sending from a real person’s email address ([email protected]) instead of a [email protected] email. Your recipients need to know that a professional from your organization is sending them. PS. Besides all of the above, make sure that you have good deliverability and that your email tool’s IPs are not on the spam blacklists. It sometimes happens when other users of an email platform are using it for less noble reasons.